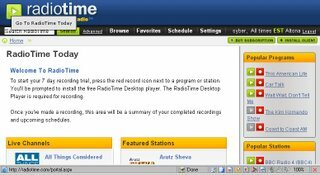 Radio Time is a social internet radio site. It has many radio station data including internet radio links around the world. It allows you listen them online, check local radio information，and if you are a paid user you can record radio program on schedule.